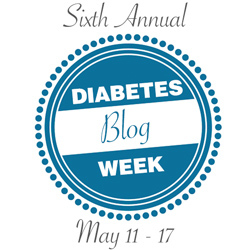 Welcome to Day Seven of the Sixth Annual Diabetes Blog Week. We are down to the last day of what truly is the most fun week of my year. But it isn’t over yet! We still have one more post to tackle. Our topic today is Continuing Connections. The very first inspiration for Diabetes Blog Week was to help connect our blogging community, and that continues to be the most important reason it's held every year. So let's help foster and continue those connections as we wrap up another Dblog Week. Share a link to a new blog you've found or a new friend you've made. Or pick a random blog off of the Participant's List, check it out and share it with us. Let's take some time today to make new friends. So this had been a whirlwind week. Diabetes Blog Week always is, but I also had a conference to attend on Thursday and Friday and a family wedding on Saturday. It’s been so much fun, but I’m hundreds of posts behind on blog reading. That’s actually a very good problem to have, except when it comes time to look back over the week. 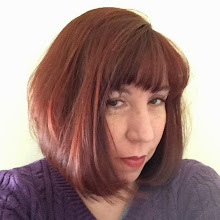 I know I still have a lot of connections to make and blogs to get to know as I make my way through the link lists. But for today’s post, I wanted to share the amazing vloggers I’ve discovered. This was the first year I’d been asked if DBlogWeek was open to vloggers (short for video bloggers) and I was happy to answer with a resounding yes! 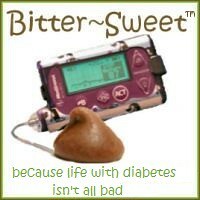 So please take a moment to meet and check out the Diabetes Blog Week Vloggers. I’m really inspired and impressed by the vlogs these ladies are sharing. Vlogging has never been something I’ve been comfortable doing, so I admire their talent. When you can see a person’s face and hear their voice, you can’t help but feel connected right away. And that’s always been my biggest wish for Diabetes Blog Week. So thank you Danica, Sarah, Lauren and Shelly for taking this week to another, most awesome, level! Here are more Continuing Connections - Sunday 5/17 posts. Thanks for the week, Karen. I am enjoying reading blogs today and writing occasional comments. But I am really, really, really enjoying not writing a blogpost! Thank you so much for doing this - I know it's a lot of work, and I'm really grateful for all the connections! Thanks for a great week! I was happy to see so many v-loggers as well!